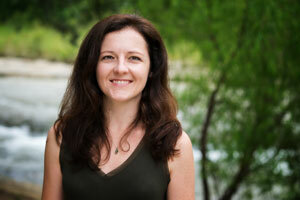 Healing Foundations Physical Therapy is the Austin-based private practice of Carrie Ciaverelli, PT, MPT, CYT. Carrie brings almost 14 years of clinical experience and an out-of-the-box, extremely innovative treatment approach tailored to each of her patients and she absolutely loves doing it! Carrie’s experience spans the entire age spectrum from newborns to frail elderly patients and everything in-between. Over the past several years Carrie has become well-known as a physical therapy researcher, lecturer, and gifted aquatic and manual physical therapist in addition to being a Certified Yoga Teacher. Carrie and her husband have two wonderful children and live in South Austin. Daniel Montz, BS, PTA joined Healing Foundations Physical Therapy in 2014 bringing his unique expertise in Aquatic Exercise and Aquatic Manual Therapy, Functional-based Exercise, and love for both Geriatric and Pediatric patients. Daniel has a gift for choosing both innovative and practical exercises for his patients, and making each patient feel at ease with his gentle and motivating nature. 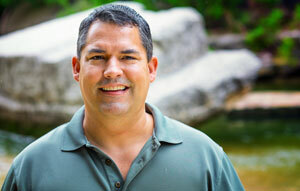 Daniel and his wife enjoy spending time in the outdoors and with their adorable dog, Tucker. How is your body’s foundation holding up? Maybe we can help. I am a 73 year old female who has been using Carrie Ciaverelli as my physical therapist for at least five years and exclusively for the last three or four years. I have mostly back issues including cervical neuropathy, bulging discs, degenerative arthritic changes, scoliosis and, most recently, compression of the spine in the thoracic area. I have always been adamant about not having surgery. I know several people who have had one surgery after another with less than satisfactory results. Carrie has been immensely helpful to me. She has created a program of exercises in the water for me with a great deal of core work. A strong core is essential for a healthier back. There are also exercises which assist in strengthening muscles, help with balance and stretching. All of these exercises are crucial in my staying strong. She has also assisted me in picking out all of my own equipment used in doing these exercises. I trust Carrie and her judgement. I would recommend her as a knowledgeable, capable and caring physical therapist. She will always be my therapist. My therapy with Carrie was one of the few things that has helped my chronic pain in my right hip. Working with her helped me get back to my sports activities faster and stronger. Many women during pregnancy experience musculoskeletal problems including lower back pain and pressure, sacroiliac pain and pubic symphysis pain. 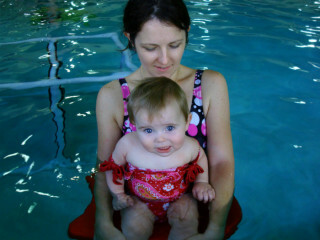 Aquatic physical therapy can provide much relief for these conditions and allow for a more enjoyable last trimester. Ergonomics involves analyzing and correcting the position of the person usually within their workspace to improve posture or reduce repetitive-stress type injury. Chronic pain is defined as any pain lasting longer than 3 months. It can be one of the most frustrating things to deal with as a patient, but there is hope for healing. Sports medicine rehabilitation is physical therapy that is focused on helping the athlete return to his/her sport at full-capacity following an injury. Sports-specific exercise and hands-on techniques deliver superior results. Physical therapy geared specifically for children and their unique and individual developmental needs. Encompasses a wide variety of treatment diagnoses, syndromes, post-injury and chronic medical conditions. Physical therapy treatment delivered in the water is known as Aquatic Therapy. 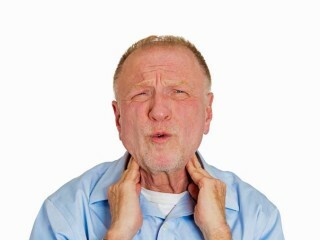 This can occur at varying depths and is generally much better tolerated by patient's experiencing high levels of pain. A manual therapy approach designed to improve movement at the joint and its associated structures. This requires a high degree of skill and is used to target specific joint restrictions. It is always used as a complement to other treatment modalities. A gentle manual therapy that relieves pain, stress, and discomfort. This widely-used whole body treatment tends to be very relaxing. A skilled tissue technique that provides tensile balancing and pressure relief to specific organ tissues and associated structures. We love making new friends. Please call or email to set up your appointment.